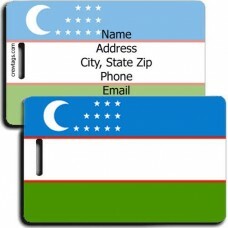 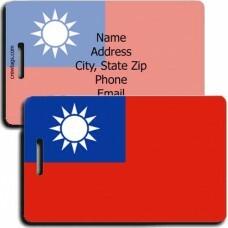 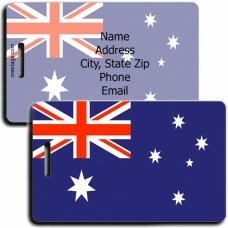 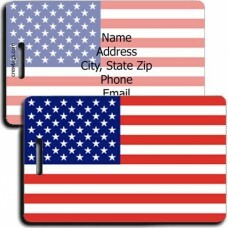 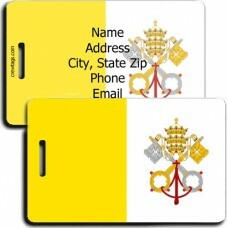 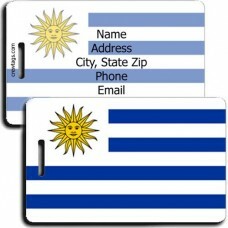 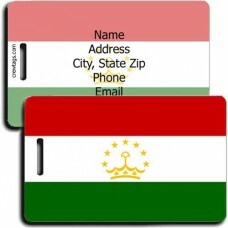 These Flag Luggage Tags will add some color and personality to your bags. 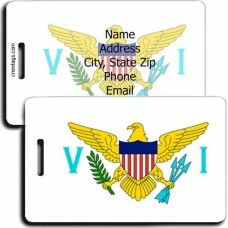 You can use them on Luggage, Purses, Back Packs, Baby Bags, and just about anything else that you want to get back should it become separated from you. 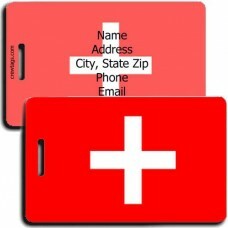 Add some International Flair to your luggage and grab this Switzerland Flag Luggage Tag. 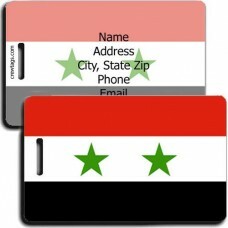 We can p..
Add some International Flair to your luggage and grab this Syria Flag Luggage Tag.We can print just ..
Add some International Flair to your luggage and grab this Taiwan Flag Luggage Tag.We can print just..
Add some International Flair to your luggage and grab this Tajikistan Flag Luggage Tag.We can print ..
Add some International Flair to your luggage and grab this Thailand Flag Luggage Tag. 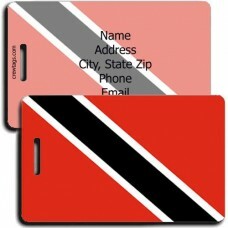 We can print j..
Add some International Flair to your luggage and grab this Trinidad and Tobago Flag Luggage Tag.We c..
Add some International Flair to your luggage and grab this Tunisia Flag Luggage Tag.We can print jus..
Add some International Flair to your luggage and grab this Turkey Flag Luggage Tag. 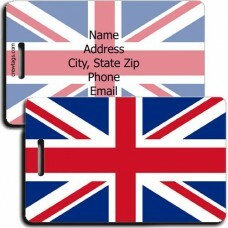 We can print ..
Add some International Flair to your luggage and grab this United Arab Emirates Flag Luggage Tag.We ..
Add some International Flair to your luggage and grab this United Kingdom Flag Luggage Tag.We can pr..
Add some International Flair to your luggage and grab this American Flag Luggage Tag.We can print ju..
Add some International Flair to your luggage and grab this Uruguay Flag Luggage Tag.We can print jus..
Add some International Flair to your luggage and grab this US Virgin Islands Flag Luggage Tag.We can..
Add some International Flair to your luggage and grab this Uzbekistan Flag Luggage Tag.We can print ..
Add some International Flair to your luggage and grab this Vatican City Flag Luggage Tag.We can prin..